play their little hearts out! 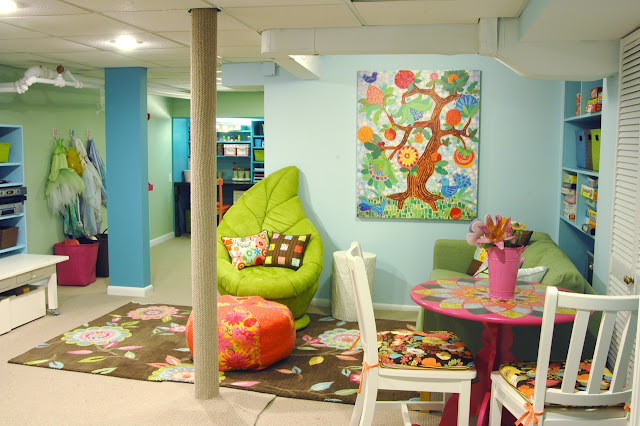 Take your unused basement, give it a little remodel and voila! 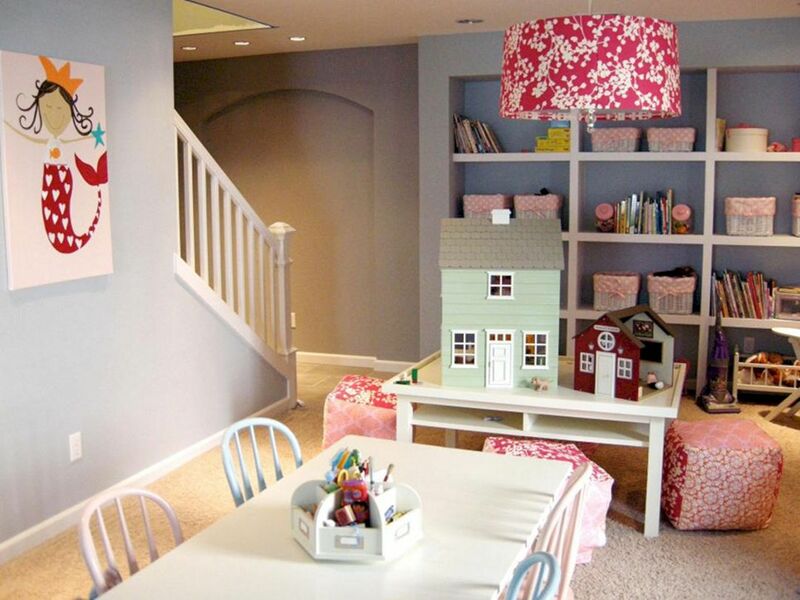 You have a fun playroom for your kids. Here are the must-have elements! Playrooms are all about fun, so why not spice up those boring stairs and turn them into something much more interesting. Build a little slide along your staircase and let the fun begin! This addition will not set you back by a lot, but it will certainly make a huge impression. Invest in something sturdy and even parents can have some fun! If you want to make your basement comfy and soft enough for little knees and palms, you need to add some softness to the space with carpets. Even though most parents opt for wall-to-wall carpets, those are actually not the best solution. Basements often get moisture and mold, plus you can expect your kids to cause many spills and damage to certain high-traffic places. That’s why your best option is square carpet tiles. They are easy to install, come in many colors and each tile can be replaced individually! proper heating. If you can’t run ductwork through your basement, space heaters are where’s it’s at! They are cheap, practical and effective, plus they can be moved from room to room and from corner to corner! And don’t worry about scolds. Some new heaters have a cool touch edge which means they will not be too hot to the touch! cooling is just as important as heating! Luckily, there are many Experts in air conditioning installation in Sydneywho can solve that problem in the blink of an eye. Just find an appropriate spot for your unit (don’t point it directly into the play area or couch) and your installers will do the rest. They can also conduct your regular maintenance, so you’ll not stay unconditioned in the middle of summer! 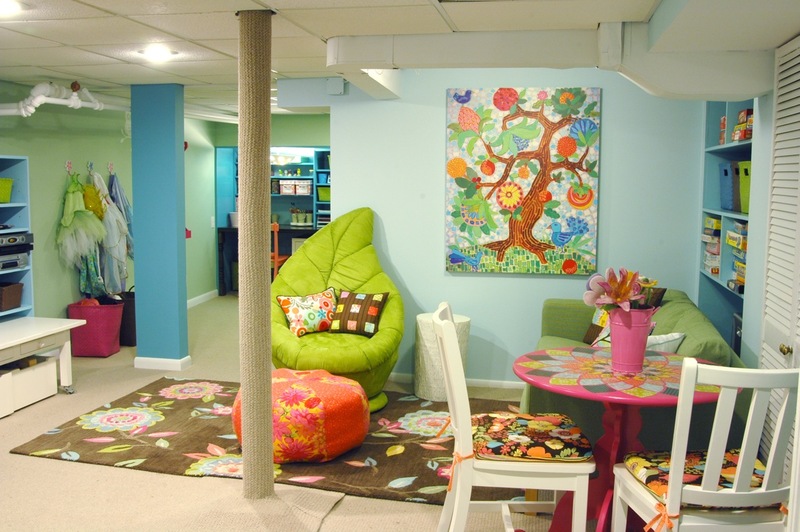 Sure, little kids love all things colorful and shiny, but unless you’re ready to repaint and refurnish your basement every few years, better take it easy with color! Pick a neutral shade as a base and spice things up with fun and colorful details, toys and decorative accessories. These are much cheaper and easier to replace than pink sofas, purple cupboards and bright blue carpets! Kids’ furniture is often shorter than normal, plus kids love to play on the floor and keep their things where they can easily reach them. That’s why playrooms often become too bottom heavy with very little happening on walls. But, to achieve a visual balance, hang some photos, drawings, posters, and memorabilia on the walls or even paint a mural. Blackboards are also super practical! Small kids feel the safest when they are surrounded by their parents, so don’t forget to dedicate one corner of your playroom to adult entertainment. Plus, when you’re downstairs, you can easily keep an eye on your little ones and ensure they are safe and in good behavior. Get a cozy sofa for parents, a TV or a few books or even create a little home office in the basement! 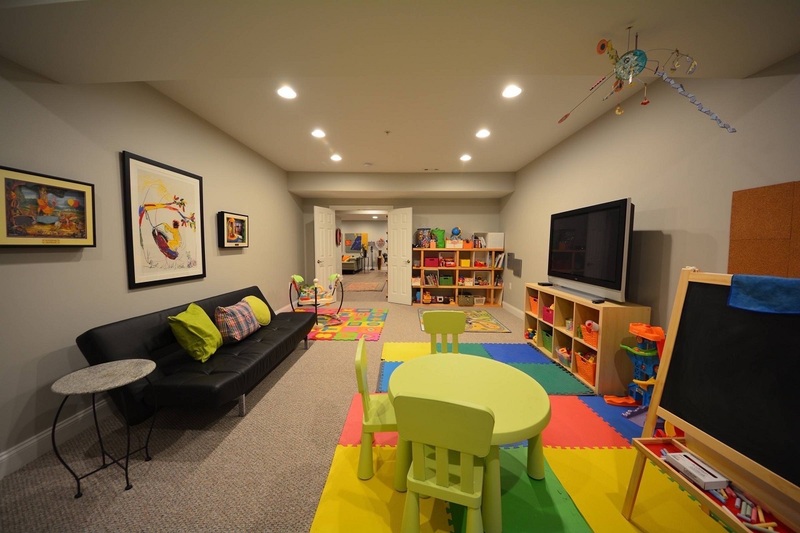 However, if you want to have a usable playroom even when your kids grow up a bit, make sure to have some sort of separation between kids’ and adults’ spaces. Sliding doors, folding screens, and drapery panels are all very cheap and effective. worth it! 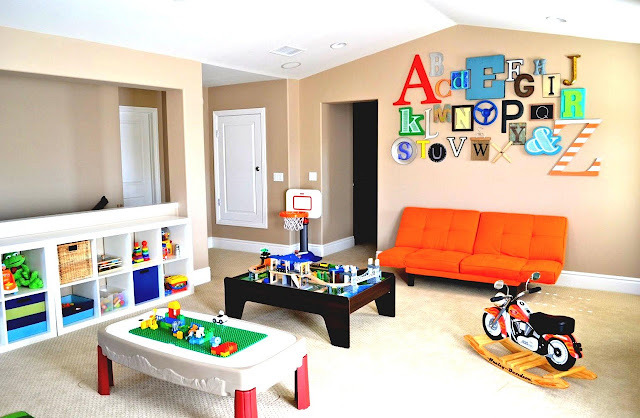 So, go ahead, tackle your ugly basement and turn it into a magical playroom! I will setup my kids room like this.